February 1959. 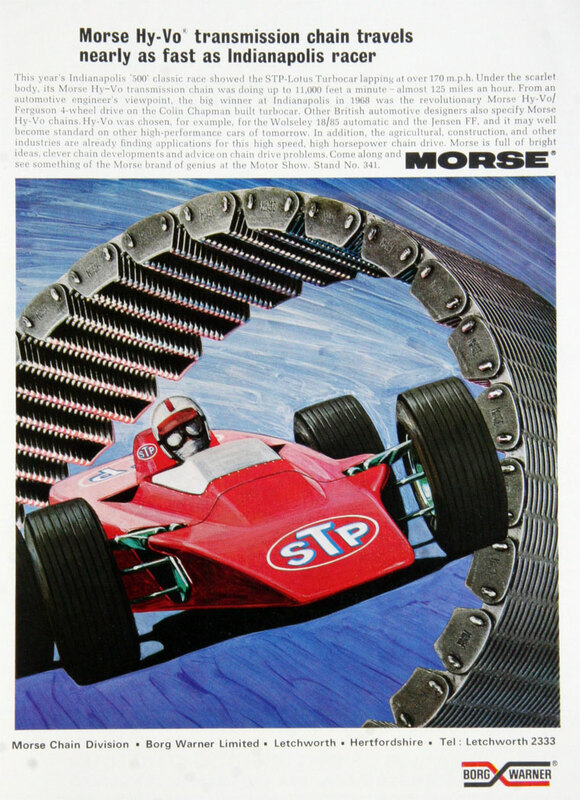 Morse Chain Division of Borg-Warner. November 1968. 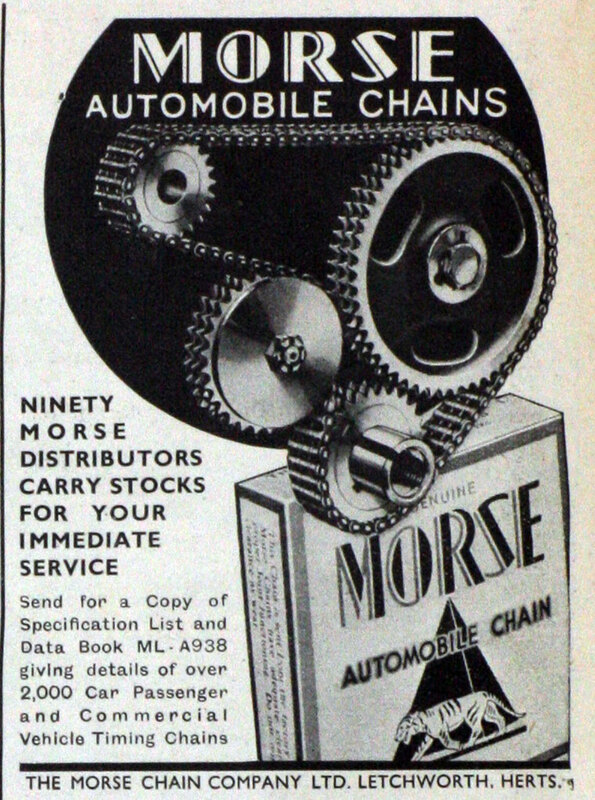 Morse Chain Division of Borg-Warner. of Letchworth, Hertfordshire. Telephone: Letchworth 33. 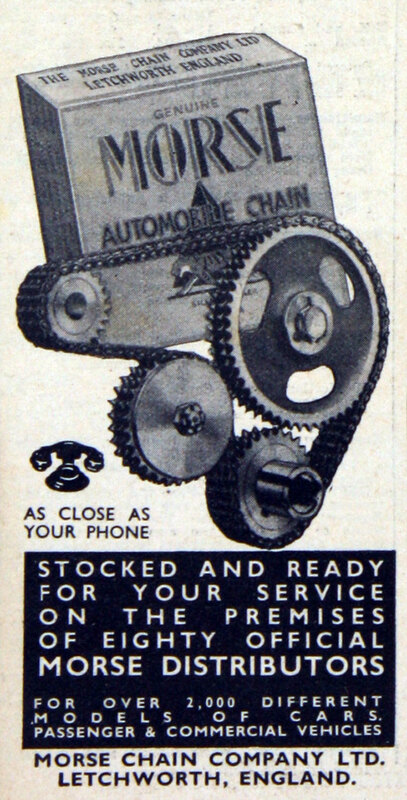 Telegraphic Address: "Chaindrive. Letchworth"
1880 Morse Equalizing Spring Company, forerunner of Morse Chain Co, was founded in USA. 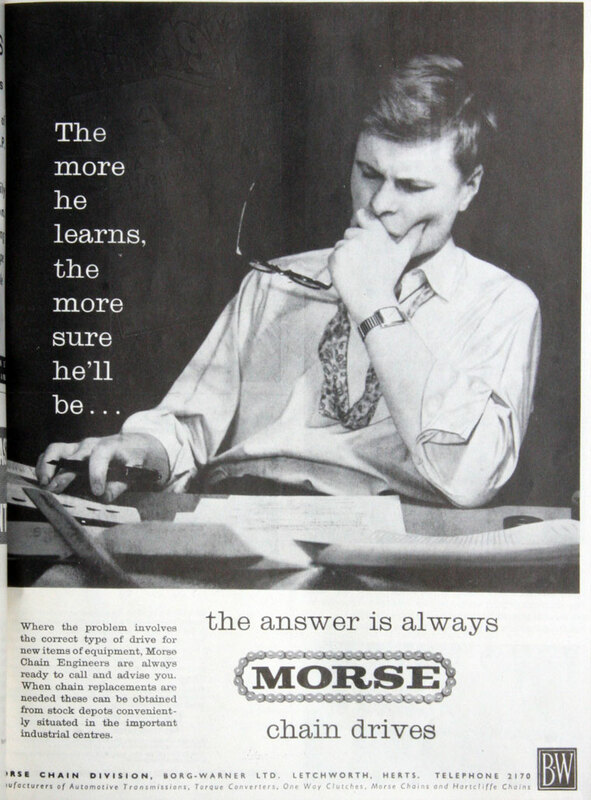 1906 Morse began manufacturing automobile chains. 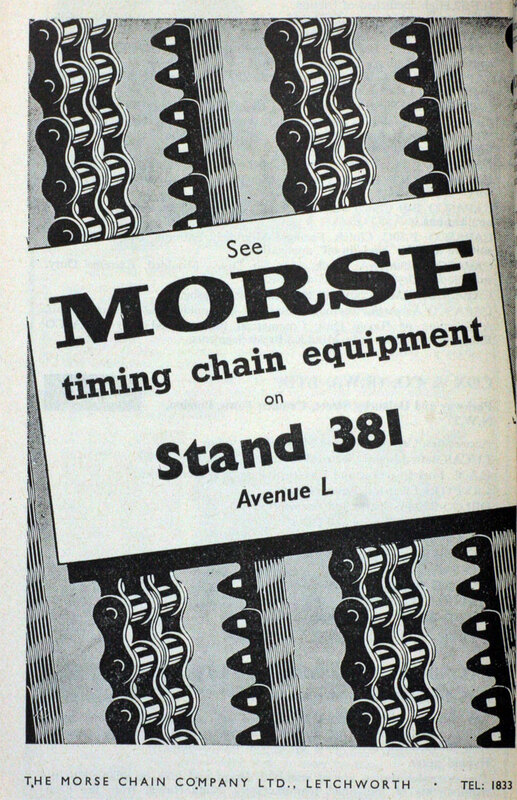 1937 Listed Exhibitor - British Industries Fair. Rocker - Joint Inverted and Segmental - Bush Roller Chain Drives, Chain Couplings, Camshaft Drive, Chain Tensioner, Segmental Bush Roller Joint Action. Special Wheels, Chain Samples and Types. (Stand Nos. D.805 and D.704). 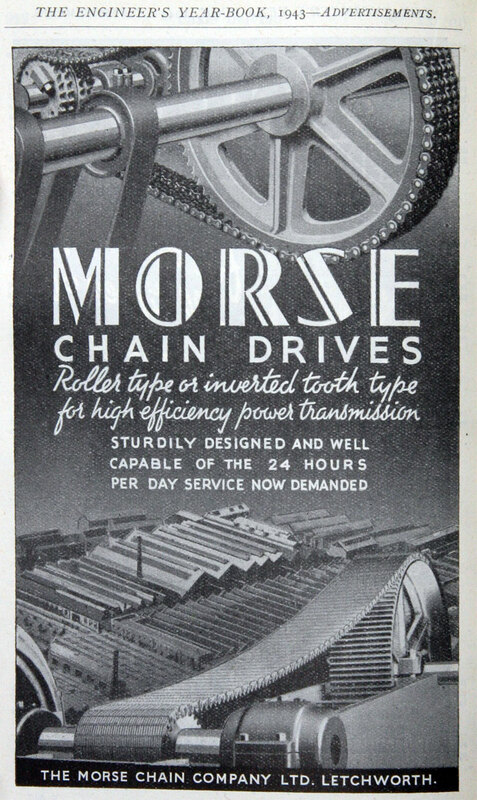 1950 Death of John Massey Seddon, London Manager and Director of Morse Chain Co and of 15 Tudor Way, Petts Wood, Kent. This page was last edited on 15 September 2017, at 20:52.